Elizabeth Valentin, Esq., a partner with the law firm Littman Krooks LLP, has become a Certified Elder Law Attorney (CELA) of the National Elder Law Foundation (NELF). Elizabeth’s practice is focused in the areas of elder law, Medicaid planning, special needs planning, guardianships, asset protection, and trust and estate administration. Elizabeth has been a passionate advocate for seniors and those with disabilities throughout her entire career,” says Bernard A. Krooks, JD, CPA, LLM, CELA, AEP® (Distinguished) and Managing Partner of Littman Krooks. Elizabeth Valentin, Esq., a partner with the law firm Littman Krooks LLP, has become a Certified Elder Law Attorney (CELA) of the National Elder Law Foundation (NELF). With this designation, Elizabeth becomes one of only 38 Certified Elder Law Attorneys in New York. The National Elder Law Foundation (NELF) is the only organization approved by the American Bar Association to offer certification in the area of elder law, one of the fastest growing fields in the legal profession. “Elizabeth has been a passionate advocate for seniors and those with disabilities throughout her entire career. We are extremely proud of her,” says Bernard A. Krooks, JD, CPA, LLM, CELA, AEP® (Distinguished) and Managing Partner of Littman Krooks. Along with Mr. Krooks and Amy C. O’Hara, Littman Krooks is one of two law firms in New York State and the only firm in New York City or Westchester County with three CELAs. Elizabeth’s practice is focused in the areas of elder law, Medicaid planning, special needs planning, guardianships, asset protection, and trust and estate administration. She frequently lectures to families and advocacy organizations regarding the legal and financial issues impacting the senior population and also publishes articles on elder law and estate planning. Elizabeth is fluent in Spanish and involved with various advocacy organizations that assist the Spanish speaking senior communities of Westchester and New York City. Elizabeth currently serves on the Elder Law and Special Needs Planning Executive Committee of the New York State Bar Association (NYSBA). She is a member of the Trusts and Estates Section of the NYSBA. In addition, Elizabeth is the Section’s First District Delegate and Co-Chair of the Diversity Committee. 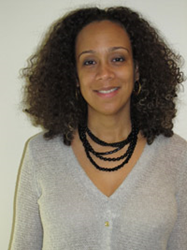 She is also a member of the New York County Lawyer’s Association and the Dominican Bar Association. To learn more about Elizabeth Valentin, click here.